Chromolite-EP™ Intense-Pulsed-Light (IPL) offers affordable, long-term removal of unwanted hair from nearly all parts of the face and body. It delivers a concentrated pulsed beam of light to the entire hair follicle to stop hair from growing back. IPL hair removal does not only offer cosmetic and practical advantages over methods such as waxing or shaving. A large number of people suffer with discomfort and cyst formation caused by ingrowing hairs. IPL hair removal is a highly effective way to counteract this on a long term basis. There are a significant number of people who suffer psychological distress because of more hair than they would like in certain areas. 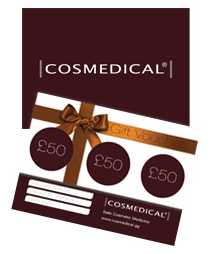 Most commonly at COSMEDICAL we see women with hair on the face, neck, breasts and stomach. We also see a large number of men with concerns about hair on their backs, shoulders and other areas. We would like to reassure anyone who may feel embarrassed that our team are fully registered medical practitioners. Our medical background ensures absolute confidentiality, so feel free to speak to us about any worries you may have. Finding a long term solution to unwanted hair can give people a huge sense of relief and new-found confidence.